"Cape Cod Gas was the most professional and reliable contracting company I have ever had work for me. They not only provided us a new cooling system for our home, but they exceeded all our expectations in their expertise and willingness to answer all of our questions and concerns." "Cape Cod AC is number 1! Cape Cod gas is the best, these guys came in and installed my ductless AC unit in a couple of hours. Not only were they the cheapest out of 4 companies I received estimates from they also helped move some furniture for me . I highly recommend Cape Cod Heat & AC"
"They provided a detailed proposal and provided feedback on the questions that we had. Their project team was professional, work completed on schedule and their price was affordable. 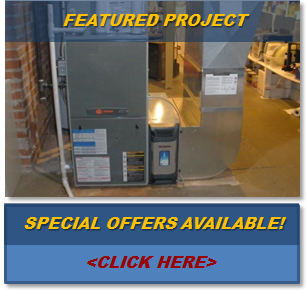 I would highly recommend Cape Cod Gas Heat & AC Systems!" "Mark and his crew came to install Air Conditioning into my new house. It was a dreary day, rain showers, but they were still outside working away. They were all great!!! I can't wait to have them do my new furnace!!" "We moved to the Cape in October 2105, and shopped around to have central air-conditioning installed. Cape Cod Gas Heat & AC were easily the best option. Of course, price was our main concern, but we were willing to pay for quality. From quick response to our first phone call, to setting up an appointment, to the work being done, to any follow-up needed, Mark, Kevin and the team from CCHG&AC were the absolute best. If you're looking for quality, at a fair price, you need not look anywhere else, just go with Cape Cod Heat Gas & AC, you won't ever regret your decision. Thank you CCHG&AC!!!"